Dress to impress - that's the kind of items deserving a little extra care. Place your dirty clothes in our locker and we'll do your dry cleaning for you. Your items are packed properly, ready to be picked up at your convenience! Top = anything above the waist, charging the same price for short and long sleeve shirts. Bottom = anything below the waist, charging the same price for shorts and longs. Picture are only for illustration purposes and prices are determined on a per-piece basis. Actual prices are subjected to change, according to the actual services required to treat the items. Give us your laundry chore, we'll wash, press and pack it up for you. What could be easier? All clothes are separated into white and colored loads. Our expert attendants ensure that your clothes come back nice, clean and smelling fresh. 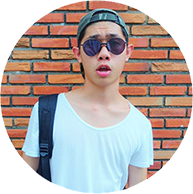 Tops = anything above the waist, charging the same price for short and long sleeve shirts. If the item cannot be laundered, it will be charged to dry cleaning's price. Minor cloth repair (minor sewing, button fix with basic button, etc) = free of charge. Actual prices are subject to change according to the actual services required to treat the actual items. 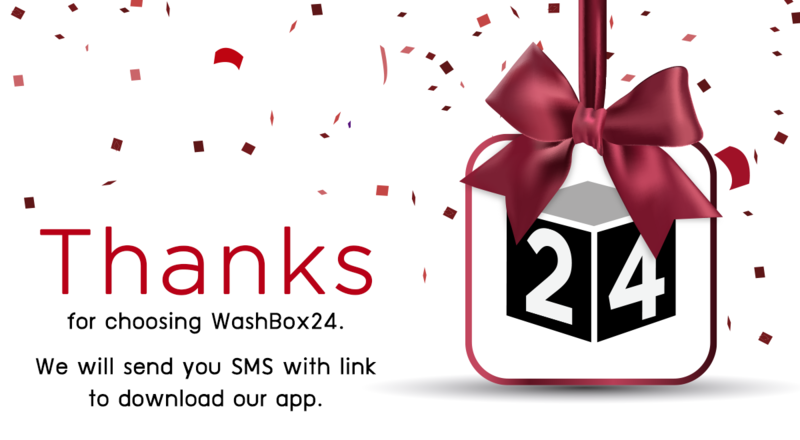 Kindly note that our load wash is charged by weight, hence we will not track the number of items in each order. This service is only applicable to clothing items (items that are not suitable for load wash includes Coat/Jacket, Winter Wear, Sweater, Evening Wear, Sari/Baju Kurong/Kebaya/Punjabi, Scarf/Gloves, Tie/Cap, Stuffed Toys). This service does not include pressing. We will contact you to advise if you have items that are not suitable for load wash. There will be no photo taking of individual items. We will not be held liable for colour run and stains not removed. Instead of spending time ironing, let us help you so you can spend time with beloved ones. Can life get any better? Pictures are only for illustration purposes and prices are determined on a per-piece basis. Striving for perfection, we restore the designer bags and shoes to the highest standard of quality. When it comes to household items, there’s really only one thing that matters – comfort. That’s why our expert cleaners pay special attention to understand the nature of material and structure of the items, which helps to preserve their original conditions. 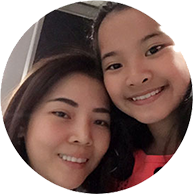 1 out of 5 Thai suffers from Allergic disease, in which dust mite is considered among the primary causes. 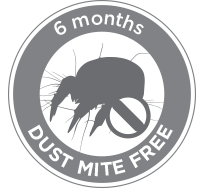 1 gram of dust can contain up to 500 dust mites. 1 out of 10 of the weight of pillow older than 6 year- old is dust mites and their excrement. "Did you know, you have millions dust mite sleeping with you everynight?" 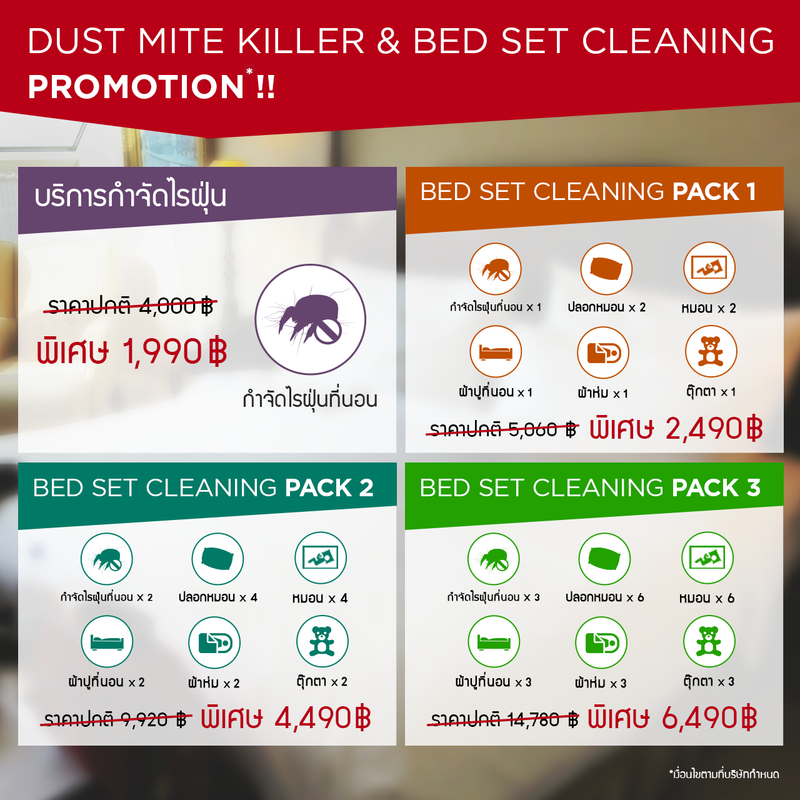 "A clean bed might look clean but it isn’t enough to kill dust mite or bacteria. 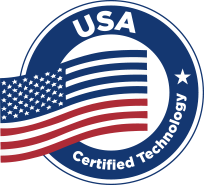 With BedGuard24 technology, we can." We will test the number of dust mite before performing services, then test again after the services. 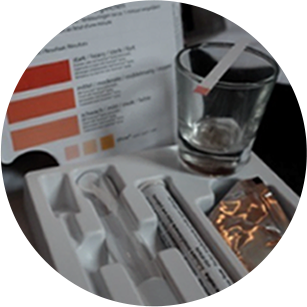 The later test result will demonstrate that your bed is dust mite free, ensuring the effectiveness of our sanitization services. 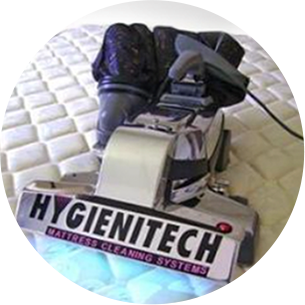 High frequency pulsating waves allow for deep penetration of suction power into the mattress. 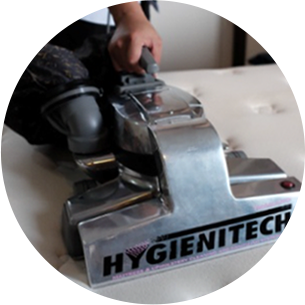 Provide sanitization service on both side of the mattress to ensure full effectiveness. “Micron Magic HEPA Filtration” system allow us to capture particle as small as 0.3 microns, preventing any particle from being dispersed in to the air. "BedGuard24 team is very professional. It didn't take long for cleaning but I could clearly see that there's a lot of dirty particles coming out of my mattress. 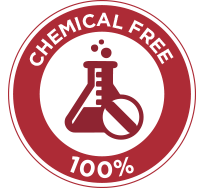 I feel much cleaner sleeping on my bed and the best part is it's chemical free." "I'm very impressed with BedGuard24. I thought my mattress was clean as I have used similar services before. 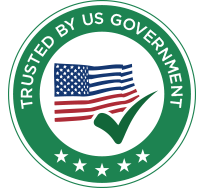 BedGuard24 has shown more what's in my mattress, yet using zero chemical in the process." "The service was awesome! It really get rid of bad dust mites and didn't take long at all." "KILL your dust mites now"